As part of the month long celebration of the arts Newtown, Connecticut's third Rooster Ball was held September 18, 2015. 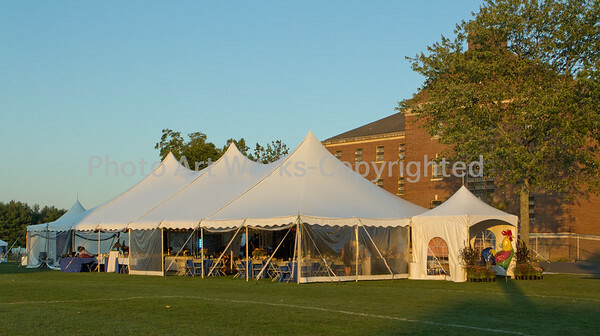 The weather cooperated and it was a spectacular night to dance under the big tent on the grounds of Fairfield Hills. The Rooster Ball proceeded the following day's kickoff of the Newtown Arts Festival. Making the night extra special was the introduction of the stainless steel sculpture, Mechanical Horse created by artist Adrian Landon of Brooklyn, NY. Onlookers were surprised when a button was pushed and the horse majestically began galloping in place. To see the horse in action there is a short iPhone video below photos.